The summer is treating us all bad. I really don't feel like having heavy breakfast at all. Something simple and light would be more than sufficient and I would love to have more liquids to keep me going for the day. I am sure you all would be feeling so too. Since I go out for shoots these days I prefer packing simple sandwiches too which keep my eating mess free and tummy happy. Grate carrots. Chop onion and green chilly finely. Wash and chop mint leaves too. Take butter in a pan and fry the chopped onion until it turns golden brown. Now add the grated carrots, green chilly and mint leaves and sprinkle some salt to it and fry for few minutes until the carrot becomes soft. Now add the maida and fry again for a couple of minutes and then simmer the stove completely and pour the milk to it mixing gradually. Keep stirring until the mixture becomes slight thick and creamy. Cook in low flame for few more minutes and finally add adequate pepper powder and mix well. Remove from flame and once it comes to room temperature transfer it to an air tight container. Apply it on bread and sandwich it with another. Serve and enjoy eating. This mixture will keep well for 3 days if kept in the refrigerator. 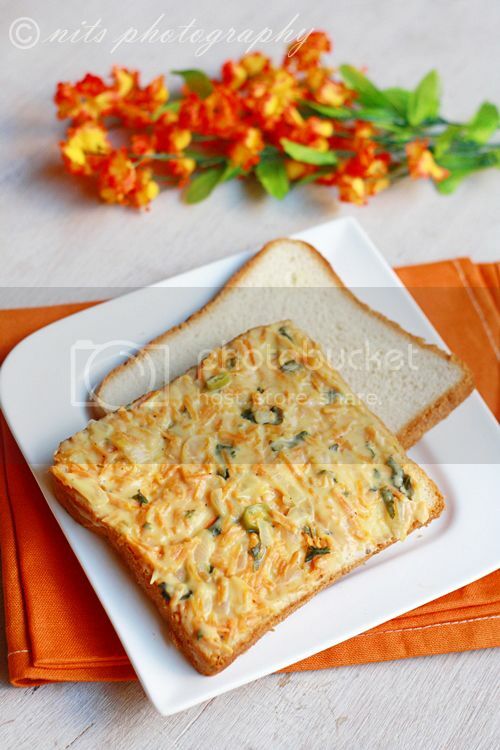 You can use other vegetables like sweet corn, cabbage etc for making the same kind of sauce for sandwich. You use other varieties of bread like ciabatta etc too for sandwich of this kind. Try toasting your bread before applying the sauce for a difference. lovely photography ! good clicks ! looks fab! a great afternoon snack as well. Inviting clicks! 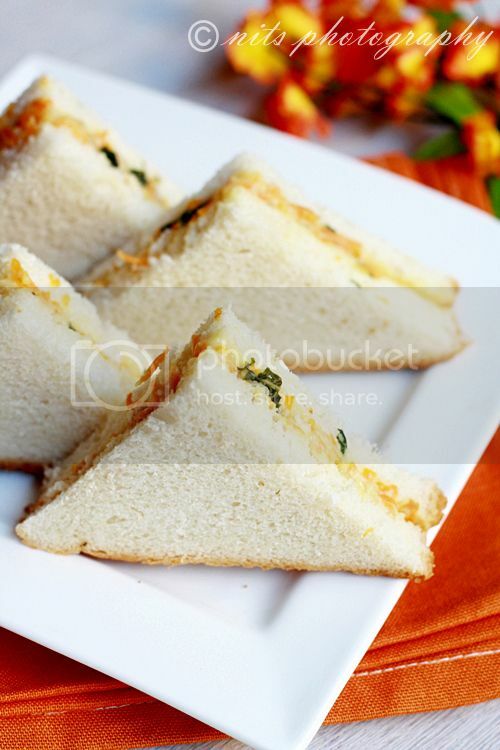 The Sandwich looks very inviting.Love the clicks. Very filling and beautiful light sandwich. beautiful clicks & a different sandwich. Will try it sometime..
it looks very nice...here you have to add maida to the already saluted vegetables or separately? 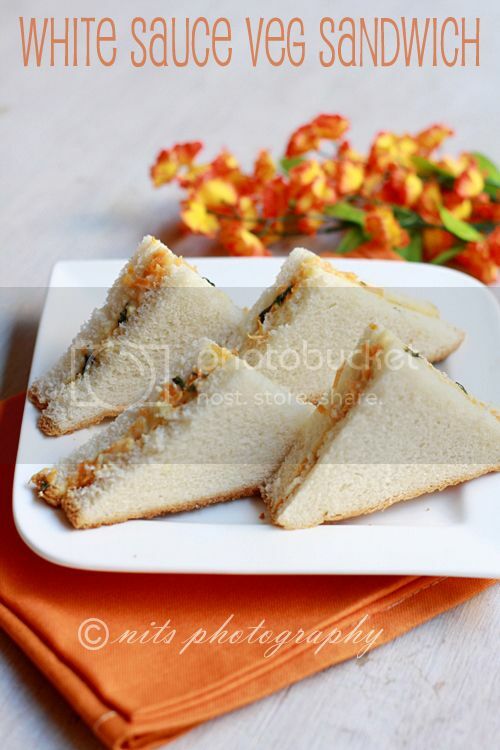 Nice vegetable sauce and sandwich. Thanks Great post. Clickrecipe. 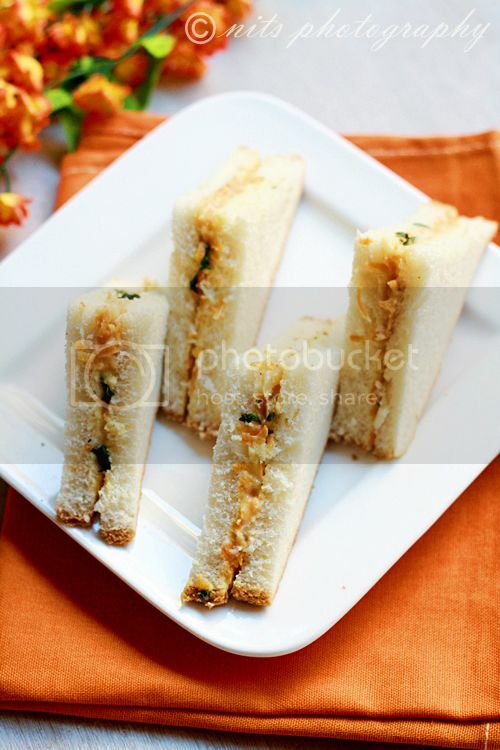 I have made similar sandwich with a creamy mushroom spread although without mint and green chillies!! Good clicks!! 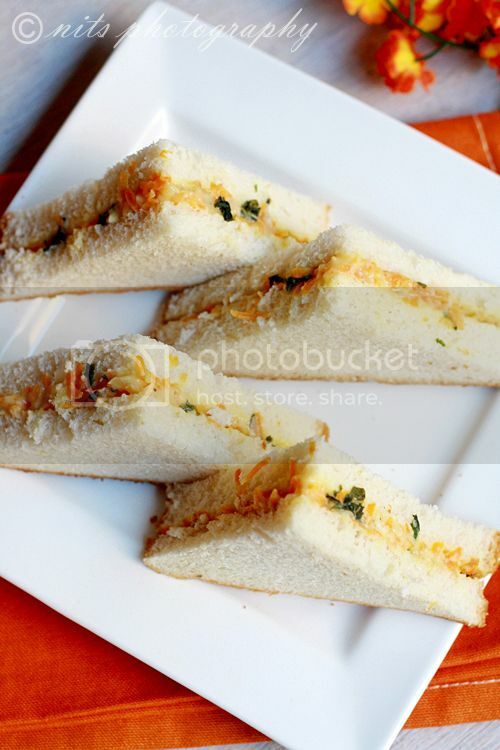 yummy sandwich, do visit me dear. Lovely pictures and yummy sandwich.. Kids will love this.Awesome click asusual. Hi, I really appreciate your blog. Great! Thank you so much. This dish looks so great!